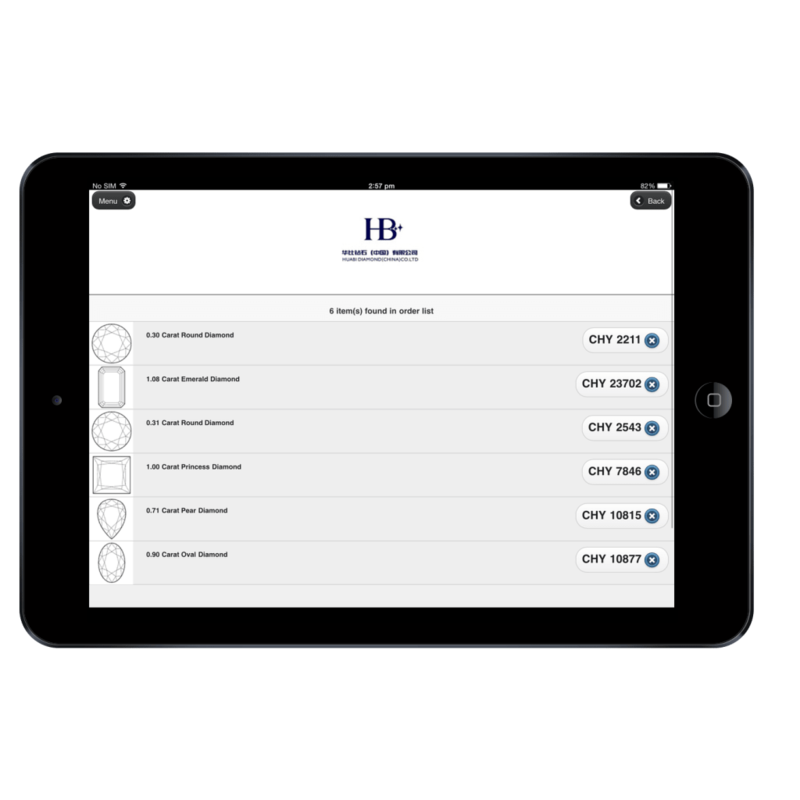 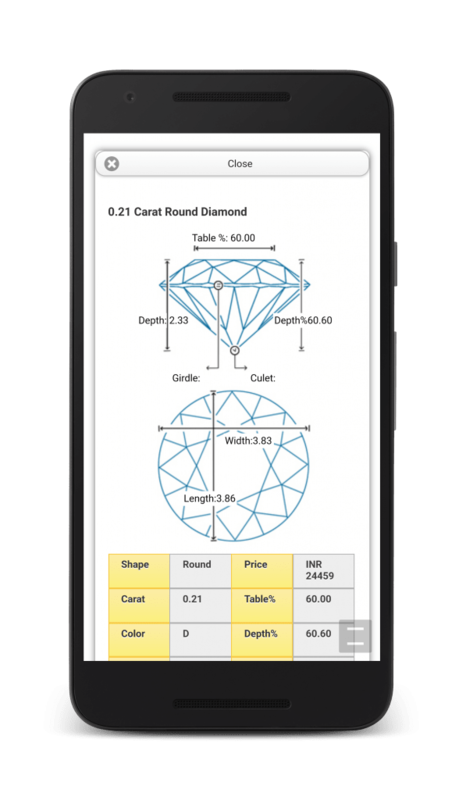 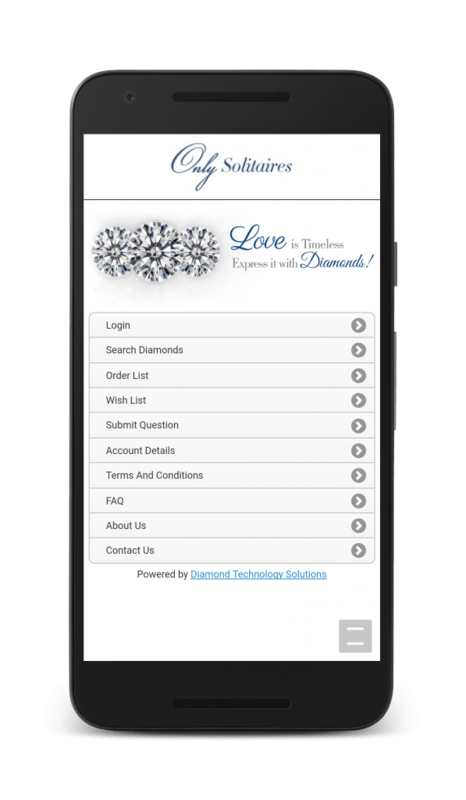 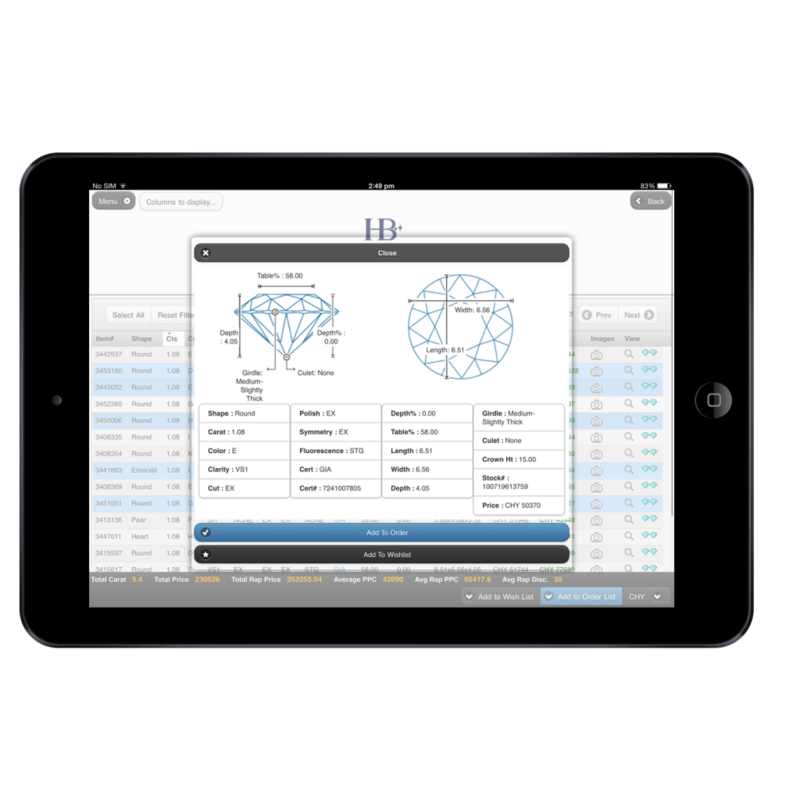 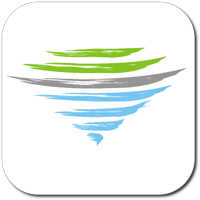 Our Apps provide you with a touch-based diamond inventory solution that allows your customers to access your inventory using a tablet. 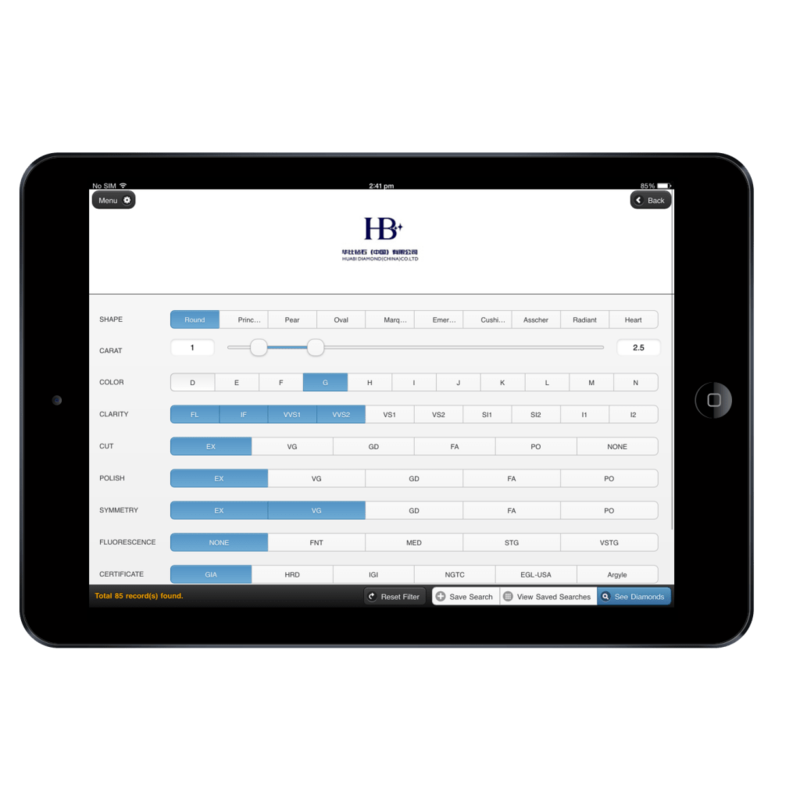 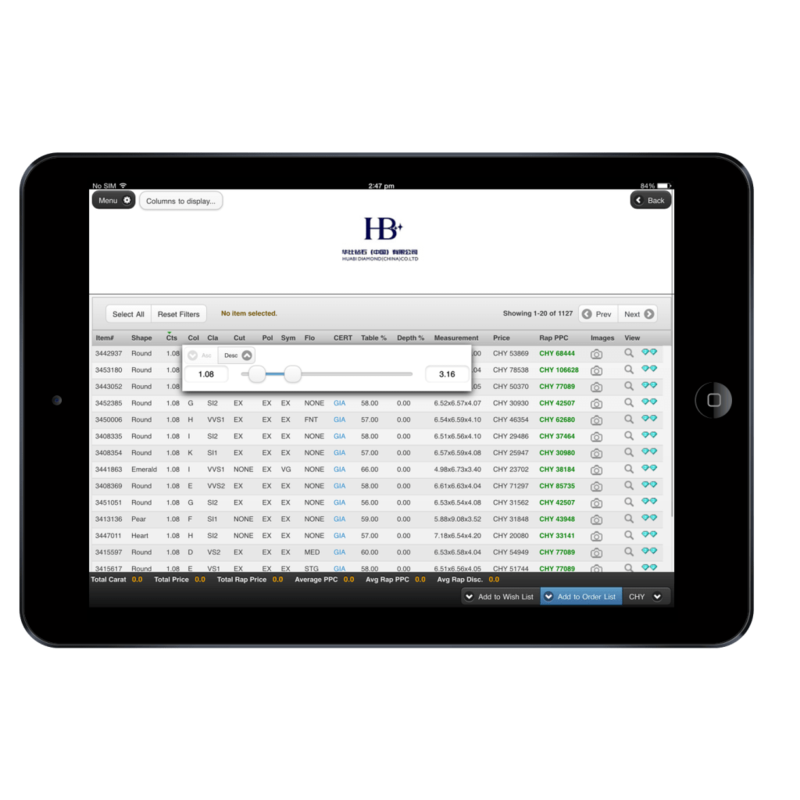 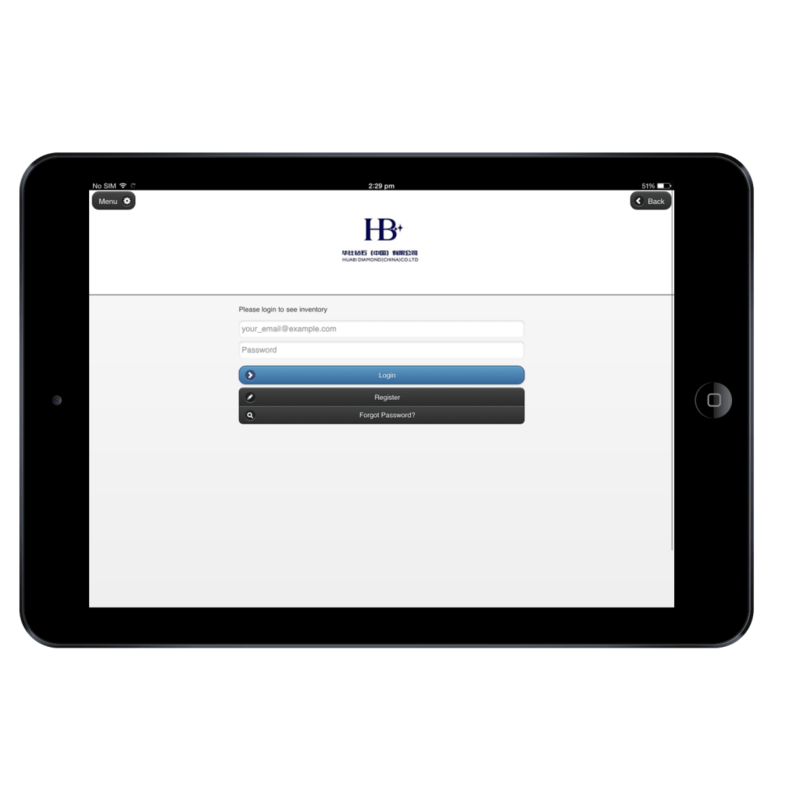 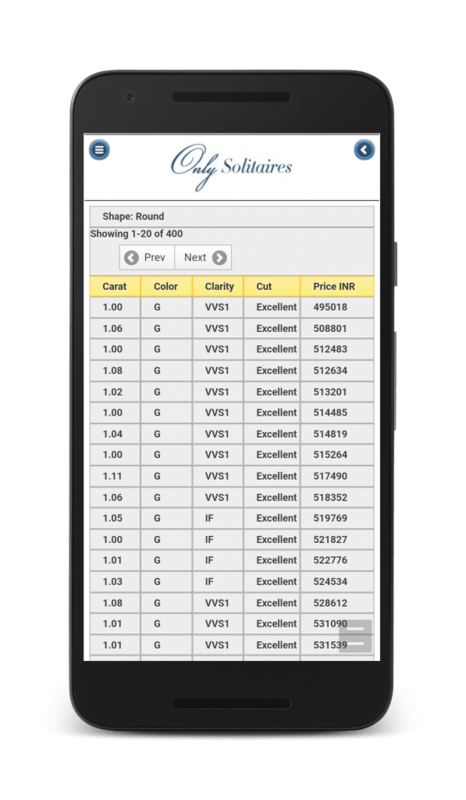 This can also be used by your sales staff within your office or at tradeshows to allow customers to easily browse through your inventory using an iPad or Android tablet. 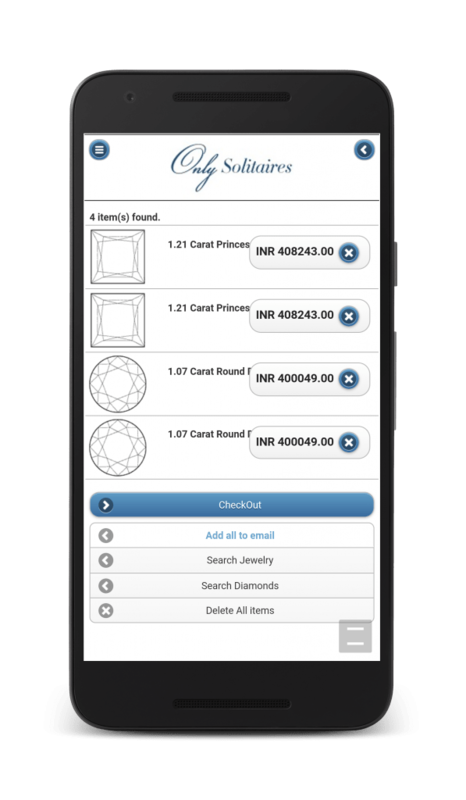 It features a full-fledged search engine allowing you to filter by Shape, Carat, Color, Clarity, Price, Fluorescence, Symmetry and others filters that you may provide. 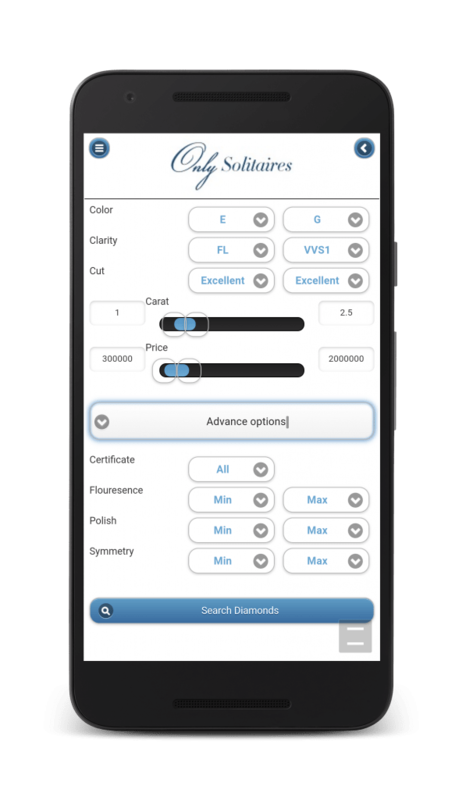 Why use a Tablet for Diamond Inventory?